Life, they say, begins at forty. For The Capital Hotel, which celebrated its fortieth year in 2011, life is just getting better and better. This charming hotel continues to enjoy popularity among visitors to London due to the unbeatable location, the warmth and professionalism of the staff and the leadership of the Levin family, which has owned the hotel since its doors opened in 1971. It is rare to find a family-run establishment of this calibre in central London, especially one in which the family still play a significant part in the everyday management of the hotel (they also own the Levin Hotel and the Capital Apartments in the same street!). Kate Levin, general manager and daughter of founder David Levin, greeted us at reception, but the sense of familial welcome pervades – last year the staff had a collective 250 years of experience at the hotel, with some of the longest serving having been with the hotel for more than 20 years. The sense of belonging is transferred to the guests; it took us no time at all to feel at home. 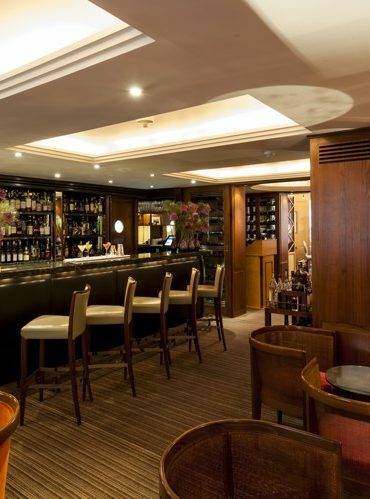 The entrance is on Basil Street in the heart of Knightsbridge and the high standards of service and presentation are immediately apparent from the warm welcome. Wooden floorboards, carefully chosen art and modern spotlights combine to make the reception area full of character, as well as being a convenient place to shuffle through the contents of your bag. Staff members at the front desk are quick to learn guests’ faces, which is extremely convenient when you return to the hotel from elsewhere and they are ready with your room key (you don’t want to take your room key anywhere with you – it’s on a huge block of wood). 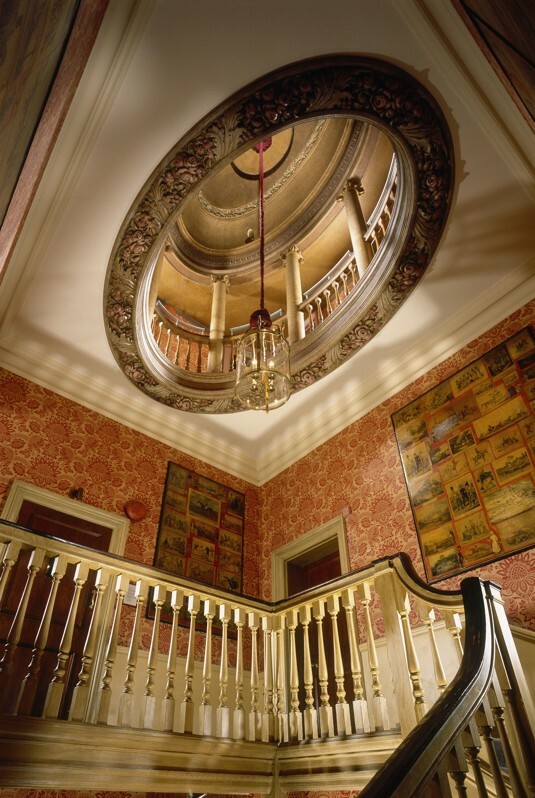 Our adjoining classic king rooms were on the fifth floor. The hotel has 49 rooms in total, including nine suites (one of which has two bedrooms), and each one is individually designed. My bedroom had muted cream and rose toned furnishings, a super kingsize bed and some handsome antique furniture. The bathroom was compact but luxuriously appointed, with Kiehl’s toiletries and fluffy towels that were big enough to make up for the bathrobes unintended for voluptuous ladies or tall gents. 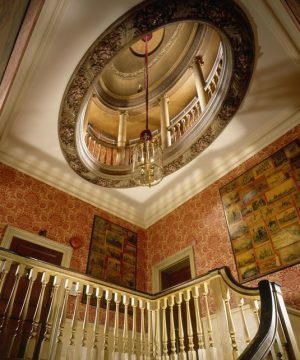 Next door, her Ladyship’s room had denim wallpaper, which was pleasingly unconventional, juxtaposed as it was with traditional framed drawings of decorative pottery. Afternoon tea at The Capital Hotel, enjoyed in the sumptuous surroundings of the Sitting Room, is very popular and features speciality cakes from the London Bakery (also part of the Levin family empire). Around the day of our stay, in late August, I was being assailed by images of Christmas future. The first Christmas advertisement had appeared on television, there were seasonal panel show reruns on Dave and the weather had taken a turn for the worse. It was a sign that the year had given up and was beginning the long slow retreat into winter, a season that seems to be rapidly swallowing up the others to encourage us all to eat more soup (or something). I am writing this because it explains that Christmas was on my mind when I first arrived at The Capital Hotel and admired the location as a perfect base for shopping. 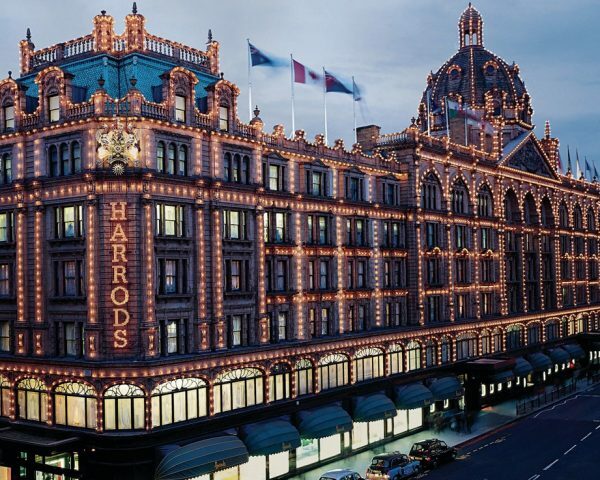 Harrods, that London institution and shoppers’ paradise, stands a few steps from the hotel entrance and her Ladyship and I spend a very pleasant afternoon purchasing macarons from Ladurée, admiring jewels and plotting the next moves in our shoe ownership strategy. Shopping really is the main attraction around the trendy Knightbridge area but you are so close to the hotel that, if you get a bit carried away (you know how it is…), you can even call The Capital Hotel’s concierge to bring your shopping back for you. 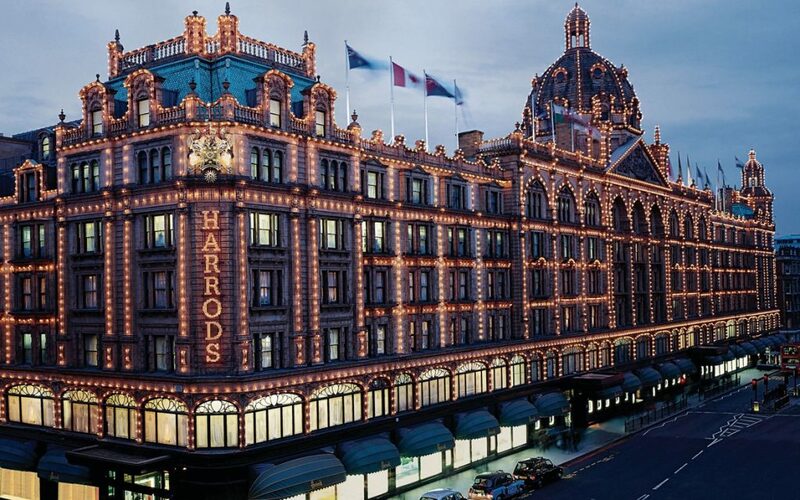 If shopping isn’t your thing, the bright lights of the West End are only a few minutes away by taxi, and the concierge is very happy to help you plan your visit to London, whatever you wish to do! After returning to the hotel, we parted ways to prepare for dinner at Outlaw’s at The Capital, the hotel’s restaurant, which Is overseen by Cornish chef and champion of British fish, Nathan Outlaw. Naturally, a pre-dinner champagne cocktail (with hibiscus flowers in syrup and The Botanist gin) gave us the opportunity to prop up the Capital Bar. 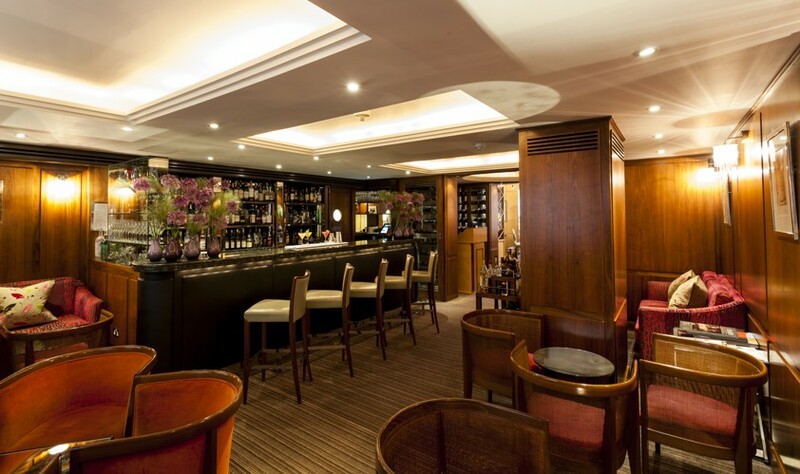 The bar is very sleek in design, with a couple of tucked away tables and an extensive array of wines, spirits and liqueurs. Bar manager Cesar is the UK’s youngest Keeper of the Quaich, so there is a strong sense of the Levin family’s Scottish heritage in the active promotion of Scotch whisky at the bar. Master classes are available for those who want to learn more about cocktails, whisky or jewellery in the Capital Bar, as well as tasting dinners with Q&A held at Outlaws. After a divine night’s sleep, we reconvened for breakfast at Outlaws, which was a traditional British affair with the usual cooked options, buffet and fruit. The highlight for me was an expertly cooked slice of black pudding and an excellent, reviving coffee that perfectly prepared me for my day; the only way I could have been more energised is if the day had contained more shopping, rather than work. The hotel is well named; it is not only at the heart of London, but provides top quality accommodation and service with a personal touch. It is often difficult to sum up a hotel in one word but, as we left, we agreed that the best word to describe our stay was obvious – capital!